Harmony is the foundation for lasting relationship, affection, love and romance. If your relationship suffers from quarrels, anger, tension, or disharmony of any description, your first step should be to remove those negatives from the relationship. Please follow these steps to raise the level of harmony in your relationship. 1. Review the list of strategies below. If you find any of them apply to your relationship, take steps to practice them. 2. If you find that these strategies are not sufficient to address the problem, you may wish to consult the IRES expert system for personalized advice on how to solve your specific problem. 3. Once you have applied these strategies, you are ready to raise the level of affection, love and romance in your relationship. Then see the list of Unfailing Positive Strategies to Improve Your Relationship. Blaming and complaining against one's partner - either directly to the person or to other people or to oneself -- is a natural, frequent and in some cases a full-time occupation for many people. Partners often become experts in observing and pointing out the defects in one another. Unfortunately, those that acquire the habit often do not realize a universal truth about complaining. Complaining always aggravates the traits we complain about! So unless you enjoy complaining more than you enjoy harmonious relationships, it is better to give up the habit - no matter how justified you may be or think you are in voicing your complaints. When we complain about a person's defects or deficiencies, we give attention to that aspect of their behavior or personality. Attention energizes. Whatever becomes the object of our attention is energized and grows because of that attention - good things multiply when they are noticed. So do bad things. Complaining aggravates the very behaviors that prompt us to complain, even when the complaint seems rational and fully justified! This is true even when our complaint is never expressed in words. If you really want to eliminate bothersome behaviors in your partner or anyone else, the best means is to totally ignore them and not even take notice of them. If you find that too difficult, start by refusing to complain about those behaviors to other people. Later try to stop complaining about it even to yourself. This strategy is very powerful. Those who successfully practice it are sure to generate a positive response from your partner. Often the response is instantaneous. The Bennets are constantly at odds with each other. Mr. Bennet makes sure he loses no opportunity to criticize and complain about his wife. He always talks to her teasingly, mocking her and pointing out her mistakes. To him, she is a silly and foolish woman who is incapable of behaving sensibly or responsibly. When she is in raptures over a wealthy suitor's interest in their daughter, he cannot stand to hear her and rudely asks her to stop. When she complains about her health, he makes a joke of it. When she is heartbroken over future title of their hereditary property going to their neighbor's daughter, his words hurt her more than they console. When he has had enough of putting her down, he locks himself up in his library where she is not permitted entry. 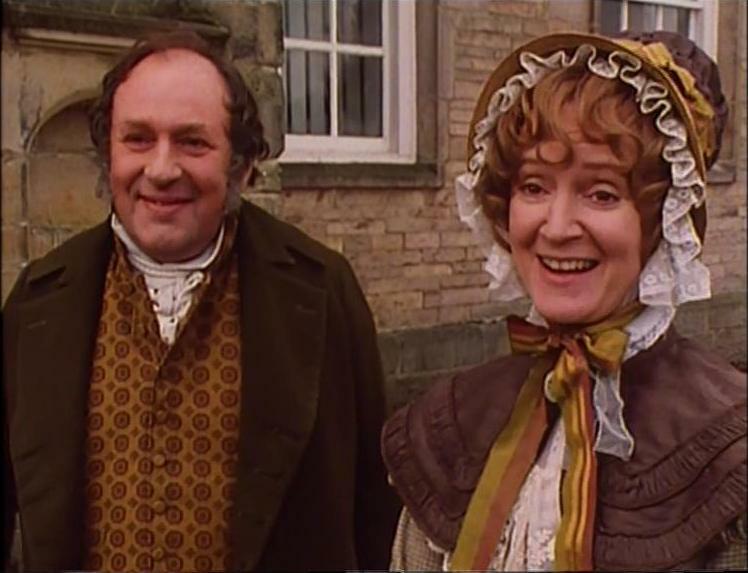 Mrs. Bennet is not intelligent enough to catch her husband's quick wit, so most of his sarcasm is lost on her. But that does not dampen his efforts to taunt her. His complaints serve no purpose except to irritate her further. And the more she is irritated, the more she acts in ways that attract his caustic remarks. In spite of all his cajoling efforts to enlighten her, she never realizes her mistakes or change her ways to win her husband's approval. If anything, things deteriorate at home. She becomes more bold and aggressive in her schemes to get her daughters married. Having exhausted his energies complaining, he prefers to submit to her whims rather than take a more responsible attitude. As a result the family is brought to the brink of public disgrace. Yet even when her mistakes stare her in the face, she blames everyone except herself. Mr. Bennet's complaints do not change Mrs. Bennet. They don't even fall on her ears. They leave her and their home a shade worse than they were. Wouldn't life be simple and easy if all we had to do is ask our partner to change? Chances are you have already tried that approach - once, twice, ten, a hundred times or more. So you already know the simple fact that people do not change for the better because we complain against them or ask them to. Even when they accept that we are right and agree to act accordingly, the result is almost always to make things worse than before. However sincerely we accept our defects, something in us is always offended by being blamed or corrected, leading to a conscious or subconscious reaction that makes things worse. Even in instances were your partner changes for the better as the result of your advice, you can observe that either they acquire another behavior that is equally disturbing or they become more critical of you than before. Either way, the level of harmony goes down, rather than up. The only exception is when the person who offers the advice does so without even a tiny trace of egoistic assertion or superiority, which is extremely difficult to do. The validity of this principle can best be demonstrated by examining your own personal experience. Examine the relationship between your parents and other couples you know to determine how far complaining and trying to change the other person has yielded positive results. List down all the behaviors in your partner that you have complained about in the past and see how many of them have actually changed for the better. In instances where you have been successful in changing some behaviors, look to see whether new and even more disturbing behaviors have arisen since then. If indeed your partner has accepted your advice and followed it, examine the overall sense of harmony and warmth within the relationship. Has it really improved? Love and affection grow through acceptance of the other person, not by trying to make the other person a better partner. Whenever a partner does something we dislike or disapprove of, the natural tendency is to react, either verbally by complaining or silently to ourselves. Reaction arises out of weakness, lack of self-control and lack of power. As long as we react against any quality in another person, we have no power to change it. At best, our reaction may compel the other person to control or suppress the disturbing behavior, but it will always surface elsewhere, usually in an aggravated and more aggravating form. If you want to eliminate disturbances, the very best strategy is equanimity, non-reaction. Do not let the other person's behavior disturb you. Better yet, do not even take notice of it in your own mind and sensations. Non-reaction is not submission or approval. Nor is it a method for ignoring or rebuking your partner. It is giving your partner the freedom to act without opposition, resistance or reaction. If you succeed, you will see that in most cases the disturbing behavior immediately becomes less frequent and intense. That was the experience of a married woman with two children who was frequently irritated by her husband's negative, pessimistic way of speaking. When all her attempts to correct him failed, she decided to stop mentioning, noticing or reacting to his negative ways of speech. Within a few days she was amazed to discover that his disturbing behavior had nearly disappeared. There are cases in which your non-reaction may actually result in greater expression of the disturbing behavior by your partner. Giving your partner the freedom to express it will eventually lead to complete elimination of that behavior. When you do succeed, you will find the situation complete reverses and your partner will bend over backwards to please you. The tremendous power of non-reaction is wonderfully portrayed by the character of Kate Reynolds. Jack Campbell is a successful businessman who wakes up one morning to discover he is married to his college girl friend Kate Reynolds and lives in New Jersey with two kids. Kate and he had split up thirteen years earlier, when he flew off to London and left her behind. Now he finds himself living in an alternative reality in which he married her instead of leaving the country. Instead of being a wealthy high flying Wall Street, billion dollar deal-maker, Jack is a tired salesman with a big mortgage living in a modest middle class neighborhood. Kate is completely happy, supportive and affectionate. She and their marriage are regarded by all Jack's friends as the ideal others can only dream about. But Jack finds this financially poorer, less successful version of his life a great disappointment and cannot help expressing his views quite crudely to Kate, who is unaware that Jack joined their 13 year marriage only a few days ago. In spite of Jack's harsh, resentment and crude behavior, Kate remains calm and understanding. She never reacts against him or faults him for what she obviously perceives as his strange and mean behavior. Gradually Jack awakens to Kate's remarkable qualities and realizes this other version of his life is far more rewarding and fulfilling than closing mega-deals in New York. When the very rich and famous Mr. Darcy proposes to Elizabeth, Bennet, a woman of lower social status and minimal wealth, the last thing he expects is to be accused of unscrupulousness and abused for bad behavior. Indeed, he has taken for granted that she is expecting his proposal and will welcome it. Instead Elizabeth makes unfair allegations about his character and faults him for the rude way in which he has addressed her. She accuses him of ungentlemanly behavior. Calling him arrogant, conceited and selfish, she concludes her lengthy abuse by declaring that long ago she had concluded that he is the last man she would marry. Darcy reels under the impact of her attack, yet he remains remarkably composed. He is startled by her accusations and defends himself mildly, but he does not hit back or even rebuke her for her unjustified assertions. When he has had enough from her, he takes leave, apologizing for having taken up her time. He does not give vent to his feelings in scathing language. He does not attack her personally in return. His maintains his cultured and polite language and behavior, and departs after politely wishing her health and happiness. In less than six months, the same girl who refused him so angrily comes up to him, calls herself a selfish person, thanks him for the help he has rendered to her family, and opens the conversation that leads to his second proposal and their engagement. By not reacting when he had legitimate grounds, Darcy left open a possibility that could easily have been cancelled forever by an angry reply. Against all odds, his equanimity ultimately enables him to achieve just what his heart most desires. Ninety percent of relationship problems can be traced back to the fact that one or the other or both partners want to dominate the other, control the relationship, prove they know more, can do things better, have earned the right to lead, or are justified in making demands on their partner that they are unwilling to meet themselves. Romance cannot be attained by demanding more of the other person. If you are one who employs that approach, the first thing to do is stop. Harmony can never be achieved by trying to dominate the other person. If you are on the receiving end of a dominating partnership, the best response is to completely give up the corresponding urge in yourself. Eradicate any sense of resentment or reaction you feel in complying with your partner's wishes by applying the first three strategies in this list. Submitting to a dominant partner out of weakness or acquiescence will never bring fulfillment. But submitting to someone you love out of patience, understanding, self-discipline and self-giving has the power to radically change your partner's behavior and completely reverse your roles in the relationship, so that your partner comes to place your needs and wishes above his or her own. Mrs.Bennet has boundless energy and endless initiative. She wholeheartedly believes that she is always right, and tries to get her husband to follow her orders. When a wealthy young bachelor named Bingley moves into the neighborhood, she orders her husband to call on him. He had intended to do just that for their daughters’ sake, but after being pressed to do so by his wife, he promptly refuses, just to annoy her. He secretly visits Bingley, then reveals the secret in a teasing manner to his wife, as a display of his independence. And just to spite her, when Bingley returns the visit, Mr. Bennet does not introduce him to his wife or daughters . Silently resentful of his wife’s constant efforts to dominate, he looks for ways to resist her pressure, even if it is at the risk of damaging his daughters’ chances to marry well. When his foolish cousin Collins comes home hoping to marry one of the Bennet girls, Mrs. Bennet keeps his intentions secret from her husband and connives to get Collins engaged to Elizabeth, Mr.Bennet’s favorite daughter. She sees this as a means to triumph over her husband. But her desire to score a petty victory only succeeds in chasing Collins away from the house into the arms of her rival neighbor's daughter. Mrs. Bennet doesn’t realize that though her intentions for the family may be good, the methods she employs to achieve them are sure to fail. Her understanding is limited and she lacks good sense. Rather than cooperating with her husband and adding his intelligence and culture to her own strengths, she gets caught up in a self-defeating power struggle. Her aggressive and coaxing behavior alienates her from her husband and her more sensible elder daughter. It drives away suitable grooms for her daughters. It brings the entire family close to ruin when her youngest daughter, Lydia, whom she has spoilt by indulgence, elopes with a scoundrel. Good manners is an essential basis for good, lasting, harmonious relationship. Partners who are able to behave as courteously and thoughtfully to their partners after marriage as they did during the initial period of courtship and to behave as pleasantly in private as they do to their friends and acquaintances in public find their relationships remain smooth, harmonious and pleasant for decades. Good manners includes all the other rules listed above. People who are well-mannered do not complain against others, they do not react, they do not dominate and they do not try to make others change. In fact, to be really well-mannered, we should give up even trying to judge other people. The key to good manners is to become fully conscious of our own limitations and defects and try to eliminate them, rather than concentrating our attention on pointing out and eliminating the defects of others. Giving up negative thoughts and behavior toward others is not easy, but if you succeed your whole life will remarkably improve. The minimum standard for good manners is not to do or say anything to another person that we would not like to have done or said to us. A better standard is to recognize and respect the sensibilities and sensitivities of your partner and never consciously do anything to ruffle or disturb them. If you find it difficult to identify your own offending behaviors, here is a simple but infallible rule to follow. Identify all the behaviors you object to in other people and look for similar, parallel or equivalent behaviors in yourself. If you are objective and sincere, you will always find them. Life is a mirror. When we forge relationships with a partner, we are always attracted to something in the other person, but often over time the source of attraction recedes into the background and we become more and more conscious of our differences or incompatibilities. Our disappointment with the change in ourselves or our partner tends to make us focus on the things we don't like. Negative intensity can be addictive, because it makes us feel alive and it is easier to generate than positive intensity. Yet always - even after decades - the original source of attraction remains beneath the surface and can be revived when we stop concentrating on the negative. Try to become more conscious of the underlying attraction that expresses as negative intensity between you. Remind yourself that negativity often expresses a deeper positive attraction and need for one another. Shift your attention from the sources of quarrel to the sources of attraction. Even when you feel most intensely negative, remind yourself it is only an inversion of a deeper positive attraction and need for one another. Shift your attention from the things that bother you in your partner and in the relationship to the things that are alright and work smoothly. Try to identify at least a few ways in which your partner and your relationship are better than others you know about. If you dislike something about your partner, try to identify a corresponding reason for the other person to dislike you and decide to change it. 8. Shouldn't my partner change first? As you read through these strategies, chances are that you have seen plenty of scope for your partner to improve themselves and found yourself relatively superior by comparison. A wise man once said that God gave us the sense of sin so we could discover our own defects and correct them, but we out-smarted God by using our keen powers of perception only to discover the defects in other people. What applies to humanity applies in double measure to partners in intimate relationships. The first rule of harmony is that all improvements start with ourselves, regardless of the circumstances-no exceptions. You may not be pleased to hear that, but that is the one and only effective way to improve a relationship. Therefore, regardless of how much higher or better you may place yourself on the scale, make a start by elevating your own conduct still higher without asking or expecting anything from your partner. That is a recipe for assured success.